Watch full Naruto Shippuden Season 19 Episode 11 English Dubbed full HD online. Naruto Shippuden Episode 404 English Dubbed online for free in HD. Team Ajisai flees from Komugi’s, while capturing the Jinchuriki to get Intel on others. That night while having dinner with Lee and Neji, Tenten walks off to recall her training memories. 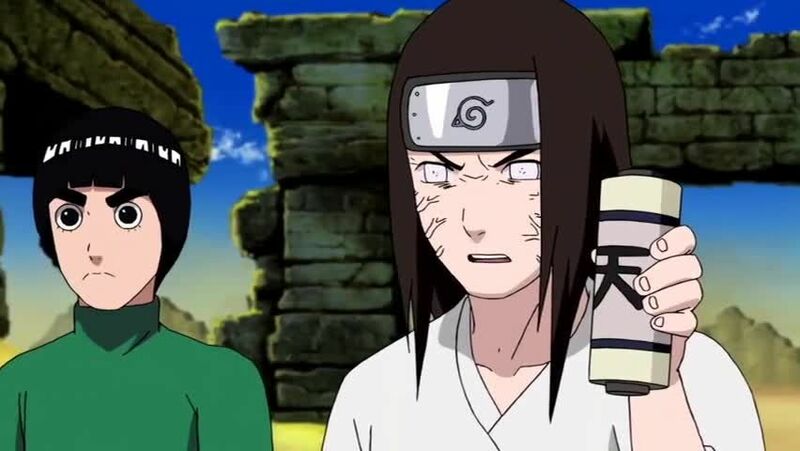 The next morning after arriving at the ruined temple and fighting each other, Lee accidentally brakes the giant tiles and the exploding bomb cause Tenten and Ajisai to fall into the underground. As Tenten recalls about her, Guy and Kakashi, she recovers and offers water to Ajisai.